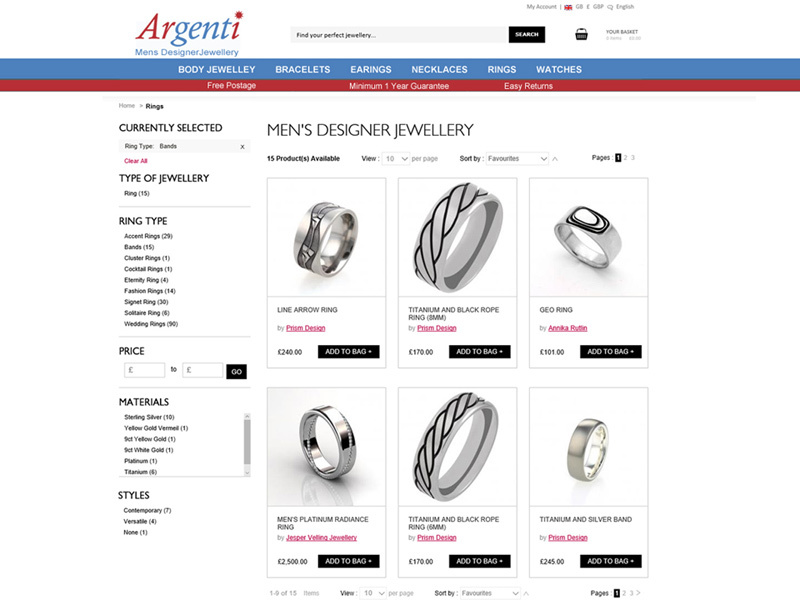 Established in 1994, Argenti specialise in selling mens designer and unique hand crafted jewellery. Their products include body jewellery, bracelets, earrings, necklaces, rings and watches. The brands they distribute include Armani, Tag Heur, Gucci and unique pieces sourced from around the world. InForm Web Design were initially contacted by Argenti to set up an E-Commerce website. The project rapidly expanded to a full Marketing Strategy project including rebranding, new logo, e-newsletter design, content marketing, email marketing, PPC (Google AdWords), Social Media Marketing (Facebook, Twitter, Pinterest) and copywriting. The resultant e-commerce website was designed and developed using WordPress and WooCommerce and optimised for organic Search Engines. We designed and implemented a number of tailored application extensions to enable easy export of product details to both Amazon and Ebay. I cannot praise InForm Web Design highly enough. They gave our business an identity and transformed it from a market stall to a fully online international trading business. They identified new sales channels and implemented solutions to centrally manage our entire operation. The site was developed using a combination of WordPress and WooCommerce. 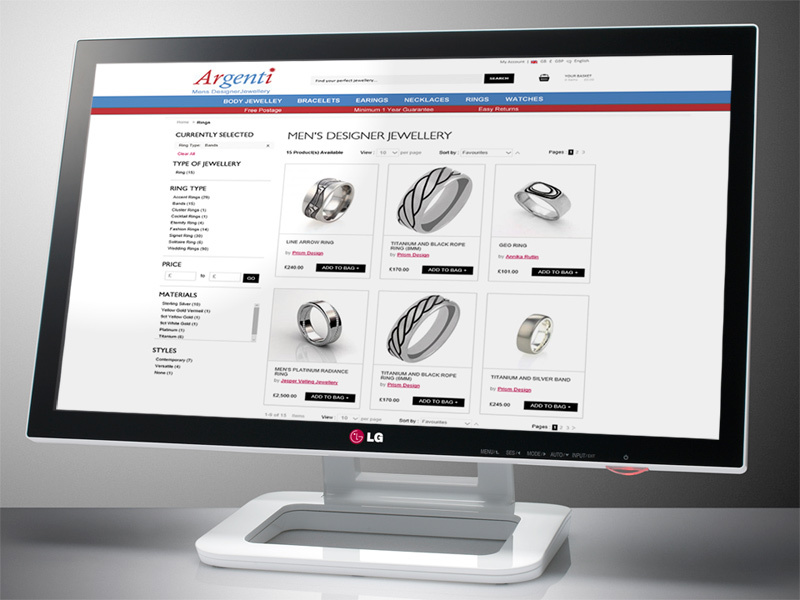 With training provided by us, it allowed the team at Argenti to manage their entire online operation. From product additions and amendments, stock control, integration with Ebay and Amazon through to E-Newsletters and targeted email campaigns. As part of the implementation we developed a number of E-Newsletter and Email templates. We aslo created Facebook, Twitter and Pinterest accounts which we managed as part of ongoing support.